We’ve covered the first five steps to school inbound marketing in Part 1, so now you’ve come to the real “rubber meets the road” steps. If you missed Part 1, please review that first, and then jump right into the next steps below. You can document your plan with a formalized template, a spreadsheet, or just a document that outlines your goals and the strategies you intend to use to reach those inbound marketing goals. Whichever format you choose to use, follow the steps described in this section of the blog. Step #1 is selecting your primary goals. You will then use them to develop a written plan, which will be your unifying document for your inbound strategies. Include realistic deadlines for each step, make assignments as necessary, and assure that each step focuses on your inbound goals, which should be tied to your school’s mission. Your plan provides you with both your long-term vision and the short-term goals that will motivate you to stay focused. For a step-by-step worksheet to develop your plan, use our School Inbound Marketing Template. Start by optimizing your website. If your school website is poorly designed (unintuitive, out-of-date, not mobile-friendly, not website accessible), then begin there. Research your keyword phrases. There are typically a few keyword phrases (common search terms) that are used to drive people to find your website and your particular educational programs. Knowing those will help you create content that will increase your site traffic and possible prospects. Learn more at Making SEO Part of Your School Marketing. Review and rewrite your website content to include keywords and information you discovered in the buyer journey process. Your school website will be your primary resource in nearly every aspect of inbound marketing strategies. Each page of your school’s website is an opportunity to create useful and informative content (as well as improve your SEO). Create branded social media channels for at least Facebook and Twitter. If you have the resources, add Instagram as well. Some schools show higher engagement from Facebook and Instagram, so don’t hesitate to switch it up if necessary. If these channels are set-up already, but they have not been used consistently, consider a refresh to include images, content, and posts focused on your keywords and selected goals. Schedule posts, link to informative content, be engaging, and think strategically. Start a blog. This is one of the most effective ways to add valuable marketing content to your website and draw potential customers to you. It is also one of the best ways to boost your SEO rankings on a regular schedule. Blogs are also an excellent way to tell your school’s stories in a personal and engaging way. Oh, and don’t forget to include a call to action (CTA) on each blog post as well, since it is highly likely that your school gets found from one of those captivating blog posts. Develop content to share. This can be time-consuming, but having at least one useful download that will encourage prospects to share their contact information with you will make it all worthwhile. If you are focused on just one persona, your content will focus on their priorities and needs. If you have multiple personas, you will develop content targeting each persona’s unique interests. You should tie each piece of content to the overall goals of your school. You’ll begin this task by looking at what marketing assets you already have so you can repurpose those when possible. This will also tell you what new content you need to create to address your persona’s interests. You will also organize and catalog your old and new content so it is easy to retrieve and repurpose. Be sure to catalog each piece of content by title, persona target, buyer’s journey stage, targeted keyword phrases, and content format. HubSpot provides a helpful worksheet for tracking and categorizing your content that you can modify for your school’s needs. Create conversion points. These are simply places where your site visitors can take action. They are website forms to download content, get more information, schedule a tour, subscribe to your blog, or enroll at your school. But also create CTAs for those folks who are still in the looky-loo stage. Consider checklists (to help them plan or decide), webinars with a school counselor (even pre-recorded, on-demand webinars work). What about a quiz to help them decide on the right school for their child or eBooks, videos, Facebook Live, “Day in the Life” videos? There are so many creative ways to be there with influencing content, but be there you must. Create an email nurturing campaign (segmented by the targeted audience and their needs). You will eventually create relevant content for each targeted persona’s interests and needs, providing content they can use along the way, depending on where they are in their journey. For example, if you were a private Christian school, you might create a quiz called, “Is a Christian school right for your child?” for the awareness phase, then offer a video showing the “Day in the Life…” where visitors can see what a day in your school might include so they can envision their child fitting in. Finally, for those in the decision phase, provide an eBook about “What to look for in a Christ-centered, K–12 curriculum,” that includes a sample course of study highlighting your well-rounded, comprehensive, and challenging curriculum. A similar approach works for public schools, independent schools, and vocational schools, with downloads written for our targeted persona interests. Download our FREE eBook: School Marketing in a Digital Age. Consistency is the key to inbound marketing success. Create a schedule and stick with it. This can include blogging, social media posts, website content, downloadable content, videos, Facebook ads, and so much more. But, start with the basics and add other strategies as time and resources permit. As we outline above in #6: Developing your plan, we’ve listed what is typically an order for implementing and working your plan. This is where your organizational skills and planning are critical. If your school has done no previous inbound marketing, your plan might begin with updating and creating content for your website and social media that supports your marketing goals. This might mean creating an area on your school website that provides information directed at those in the awareness and consideration stages. One easy way to address this is to add a section to your website for just this purpose. You can create a main navigation area for “Why Choose ” and from this landing page, you can link to the topics that prospective parents need to know. Check out Whipping Your School Website into Shape for some page content ideas. We recommend this step first because your website will leverage the rest of your inbound marketing efforts. Select the ideal customer (parent/student/staff) you want to attract with this campaign. This is usually one of the personas you developed earlier. You must understand their needs and goals to address their concerns. Create your free download. This is the information you create to provide your personas with the information they seek. It could be an eBook, a video, an infographic, a checklist, or anything your persona will value. You are doing this to begin building a relationship, so be sincere about your intentions. In order words, it should NOT be a sales pitch for your school. Make sure the title for your download is clear about the information it contains. Concise and unambiguous is more important than clever if you expect them to give you their email address in exchange for your content. Develop a landing page on your website that introduces your gift (informative download for your targeted persona). This is assuming your website is one you are proud of, so if they check you out, you aren’t a disappointment. If your school website isn’t intuitive, attractive, and informative, either contact us to make sure it is, or create a separate landing page. It will contain a page title that is clear and body copy that lets them know exactly what your download will deliver. Bullet points are easiest to scan, so use four or five bullet points rather than paragraphs. Your landing page will also contain a simple form that requires their name and email address in order to receive your free gift. You can ask for more information, but you do so at your own risk. If you get pushy, you will hurt your relationship before it ever gets started. It is also smart to remove most other navigation from this page except for some links to share it on social media (so they can tell their friends about this excellent information you created for them). However, if your school website is well-designed and intuitive, also provide a link back to the marketing area of your website so they can see what you have to offer their student. Use an enticing call to action. This form, and the information you so willingly provide, is what is called your Call to Action (CTA). You can share this opportunity on other pages of your website where appropriate (do so tactfully, of course). It can be in a sidebar on the marketing area; we call this the “Why Choose Us” pages, on a blog page where you are talking about some of your strengths, or even in the footer of your main/district website. Just use a headline for your “button” or link that will pique the interest of your targeted personas. Develop a thank you page. Once your site visitor fills out the landing page information, you will want to redirect them to a thank you page. Ideally, you will redirect them to your thank you page and also email them the download link to their inbox as well. Your landing page tells them how they can get the information (free gift). Usually, that is just clicking on a “download” button or checking their inbox for the link to the download. You can also use your thank you page to include the next step in your offer. If you offer a useful eBook as your first download, maybe a virtual tour or on-demand webinar would build trust and they can sign up for it from either your landing page or from the email you send. Send your email follow-up. Once they have downloaded your content, they will need a follow-up email. This, as mentioned above, could include the link again to the download (your free gift), and you could also offer the next gift of helpful information. The goal of your next informative content is to build trust. Begin the ongoing nurture campaign. You will continue to contact your targeted persona with a gradual email series (often called a drip or nurture campaign). This will give them access to more downloads or will send them blogs or newsletters related to their interests or needs. Provide them with useful information, be helpful and continue to build trust, and you’ll stay front-of-mind when it comes time for them to make their decision. So, your inbound marketing has brought your outstanding educational services to the attention of more parents and students looking for exactly what you provide. You are meeting your marketing goals; you gradually see success. Good work. Keep it up. But now what? One common marketing weakness many schools ignore is the failure to focus on existing customers. This is a mistake. Marketing to existing customers includes providing great customer service, putting real value on strategic communications, and giving parents frequent reasons to feel good about their choice of selecting your school in the first place. We highly recommend that once you have several inbound marketing campaigns set up for your school and the various audiences you are targeting, take a look at retention efforts. We fully believe that the first step is ongoing and effective school communications. You need to be communicative, transparent, and consistent. Use your website, social media, newsletters, open houses, parent/teacher conferences, back-to-school efforts, and staff development training to support retention efforts strategically. Take a look at your school customer service. Here are some thoughts on customer service: From Good to Great: School Customer Service, Parents: Raving Fans or Raging Foes, and Roll Out the Welcome Mat at Your School. How do you rate? If not great, then fix it fast! We’ll cover this important topic in greater depth in future blogs, but in summary, look at your school and select the priority topic pertaining to your retention challenges and address what you can, then implement ongoing communications strategies for retention. Retention is the true test of parent satisfaction, strong relationships, and trust. Parent satisfaction is the number one priority for retention. It is more cost-effective to retain a family than it is to try to recruit new ones (the same applies to staff). An additional benefit of happy parents is they will share their satisfaction and sing your praises to others, and you’ll soon have even more enrollments. What can you do to improve your current retention rates? 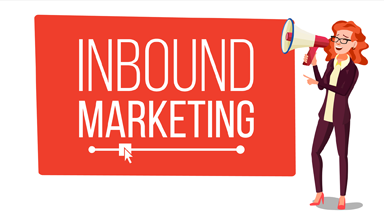 Many companies and nearly all schools fail to formalize their approach to inbound marketing. They tend to use a reactionary approach and come up with a spur-of-the-moment strategy when there is a crisis that forces them to do so. It isn’t wrong to apply a strategy when there is an urgent need, but with a well-planned, consistent approach there will be fewer critical needs, so your efforts will be more effective (and much more affordable than hiring an expensive advertising agency in a desperate attempt to stay relevant). However, to implement inbound marketing, because it is a long game, plan ahead. You will need someone to act as the marketing strategist, someone to develop content (a content writer and a designer), and help from your school website developer. If you are working with School Webmasters, we actually can help you in all of these areas. You will fill the role of marketing strategist and guide us in your school’s goals while we implement the strategies you select to achieve those marketing goals. If or when you need our help, School Webmasters is here for your school. Just give us a call at (888) 750.4556 and ask for Jim or Bonnie. Or, if you want information about how we can implement an inbound marketing plan for your school, complete the School Inbound Marketing Assessment form today!